JEKYLL & HYDE Among DFW’s Best! The Column Online released its annual Best In Dallas/Fort Worth Theater list today and Greater Lewisville’s Jekyll & Hyde: The Musical was among those listed by Senior Chief Theater Critic John Garcia as one of the best productions of 2010. Jekyll/Hyde lead and Column Award-winning actor Brad Stephens was also listed among Garcia’s list of Breakthrough Performers of the Year. In his Special Achievement/Recognition category, Garcia named Foard and Sikora as Best Female Vocal Duet for their performance of In His Eyes and praised Sikora as Best Female Vocal Performance with A New Life. “Sikora belted, soared, and glided with extra-ordinary vocal beauty within this solo,” he said. The Frank Wildhorn musical also garnered a nod for Best Scenic & Lighting Design. Jekyll & Hyde shares honors with six other productions: Flaming Guns of the Purple Sage (Theatre Too at Theatre Three); Give It Up (Dallas Theater Center); Into the Woods (Plaza Theatre Company); Lend Me A Tenor (ICT MainStage); The Dixie Swim Club (Pocket Sandwich Theatre); and Reckless (Sideman Productions). Read by nearly 19,000 subscribers worldwide, The Column is the only organization recognizing excellence in the Dallas/Fort Worth theater community. The Column engages the contributions of fifteen critics and distributes reviews via e-mail to over 18,450 subscribers worldwide. 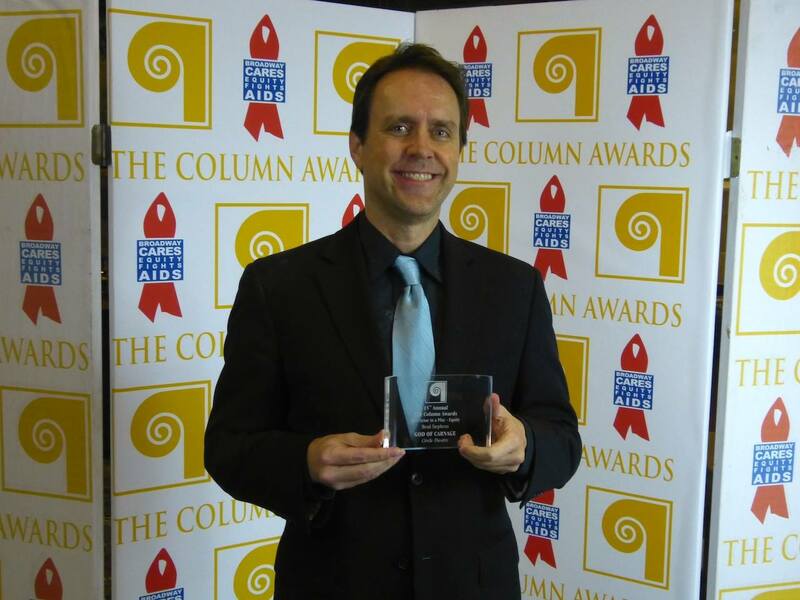 The Column Awards annually honors excellence in local theatre productions. Additionally, The organization strives to raise funds for the fight against AIDS by primarily contributing to Broadway Cares/Equity Fights AIDS and dedicates itself to developing a love of theatre in local youth. Ready Teddy took home two Golden Drovers last night at the awards presentation for the Trail Dance Film Festival, held over the weekend in Duncan, Oklahoma. Writer, Producer, Director Jerod Costa’s bloody rock-n-roll opus took home a statue for Best Dark Comedy. Kate Cassity won a trophy for her poster design for the film. Ready Teddy screened Saturday night to the delight of festival attendees. In attendance were a number of the cast and crew who took to the stage afterwards for a Q&A session. When pressed about his treatment of the Fab Four, Costa responded by initiating a debate on who was better, Elvis or The Beatles. The audience was clearly divided between the music icons but everyone appeared to enjoy the film. In the film, I play a Liverpudlian lunatic named Paul whose crew — John, George and Ringo — has kidnapped the King of Rock-N-Roll seeking to extract the secret of That-Which-All-Men-Desire. Caught in a trap and can’t walk out, will our hero get all shook up? That’ll be the day! 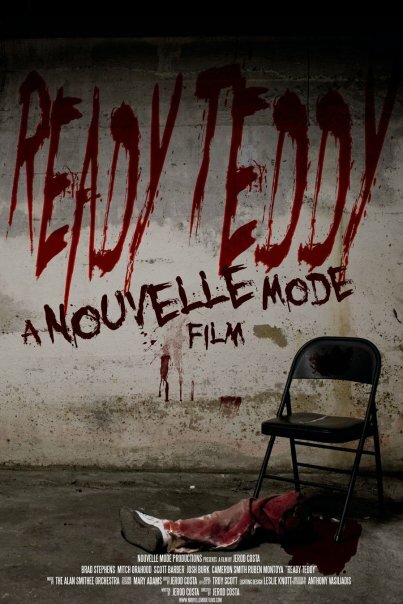 Not for the squeamish, Ready Teddy is a tale of blood, guts and peanut-butter-banana cuisine. The Trail Dance Film Festival introduces up-and-coming filmmakers from around the globe to Oklahoma’s emergent film industry and provides a welcoming forum to showcase films amidst a beautiful Western landscape. The festival concludes with a grand awards gala and reception where custom sculpted Golden Drover Awards are presented to winning filmmakers and one lucky high school student will be awarded a $2000 scholarship to pursue a career in filmmaking. Trail Dance is an event organized by the Southwest Association of Film (SWAF).